Tai Ji Circle and Master Liu Quanjun are honoured to be hosting our eighth annual visit by Master Chen Ziqiang to London. The son of Grandmaster Chen Xiaoxing and nephew of Standard Bearer Chen Xiaowang, Master Chen Ziqiang is a 20th generation direct descendant of the Chen Taijiquan Family. 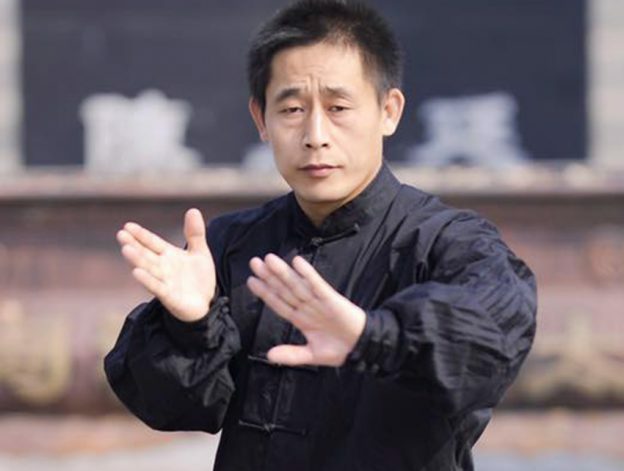 He is the Chief Coach of the prestigious Chenjiagou Taijiquan Academy and a renowned tai ji teacher and champion. Both he and his students have achieved overwhelming victories in numerous competitions both in China and worldwide. Master Chen’s Taiji is impeccable and he is ranked as one of the true great masters within the Taijiquan community. At the 2018 Annual General Meeting nominations were received for posts on the Executive Committee. The Committee is to be elected by ballot of full members and instructors holding ‘S’, ‘A’ or ‘I’ Grades. Members should have received their ballot papers in the post. Ballot papers must be returned to the returning officer by post or email to arrive by 19th June 2018 (full instructions on the ballot paper). If you have any questions or difficulties placing your vote, please notify the returning officer via email. This entry was posted in Uncategorized on 17/05/2018 by Admin. Just been told by Bill Strang and Charlie Gorrie the sad news that our good friend Don Wells has just died of cancer.In his 80s and on the short side, Don was an inspiration to many in the Tai Chi world. He had the heart of a lion and loved pushing hands and doing applications with much bigger and younger exponents. He was witty and good-humoured and fun to be around. That is why when the TCUGB needed a new member of our magazine’s Editorial Board, he was the obvious person to choose. He will be much missed. This entry was posted in Uncategorized on 20/12/2017 by Admin. For the 20th year TAI CHI CALEDONIA are delighted to play host to the Taijiquan & Qigong Federation for Europe and bring their bi-annual Congress/Forum to Scotland, to celebrate our joint 20th Anniversaries. This entry was posted in Uncategorized on 22/12/2014 by Admin.